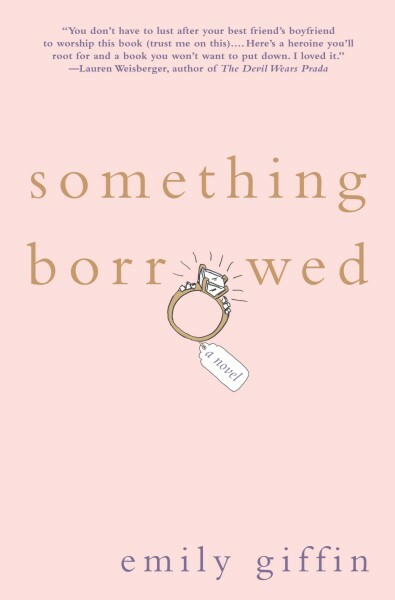 On Monday night a friend and I attended the advance screening of the movie Something Borrowed starring Kate Hudson, Ginnifer Goodwin, John Krasinski and Colin Egglesfield. This romantic comedy, based on the best selling novel by Emily Giffin, is about two best friends who want to marry the same man. Rachel (Ginnifer Goodwin) is an unhappy, single, talented attorney who drinks too much on her 30th birthday and wakes up to find herself in bed with Dex (Colin Egglesfield), the man who she has had a crush on since law school. But Dex happens to be her best friend Darcy's (Kate Hudson) fianc&eacute. 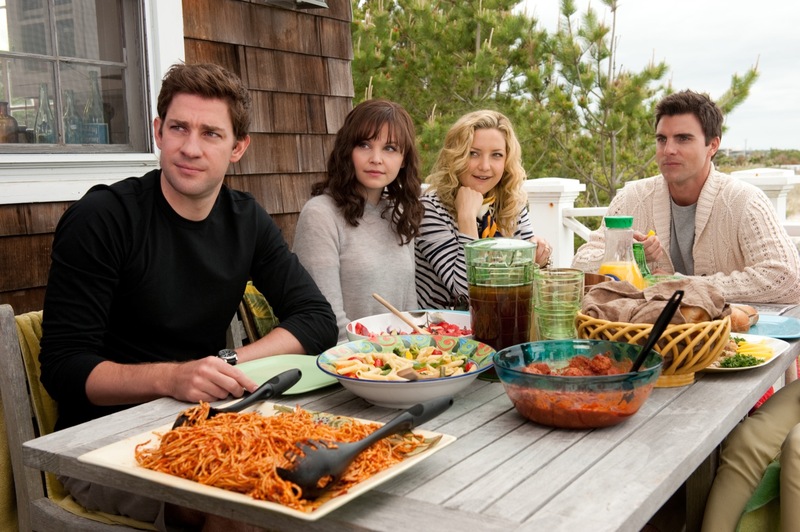 Relationships are tested while a long-time trusted friend, Ethan (John Krasinski), stands by Rachel with a secret of his own. Even though I ended up sitting up front in the third row and left with a stiff neck I will try not to be bias in my review. 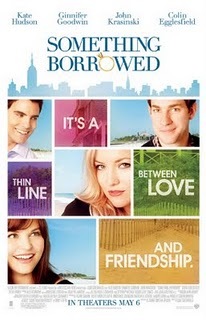 Basically this romantic comedy is slightly predictable, runs a bit long, and in my opinion is not a "must see" movie. There are definitely funny moments and for the most part I enjoyed watching Ginnifer Goodwin and Kate Hudson on screen. But I would recommend forgoing the $10 movie theater ticket and perhaps consider renting this movie on a Friday night when you're in the mood to curl up on the couch and watch a chick flick with your girlfriends. Oh and I wouldn't subject your husbands and boyfriends to this movie unless of course you are intentionally trying to ruin your relationship! The movie opens up nationwide on Friday May 6th. Have you read the book? Are you planning to catch this movie in the theaters? By far the best scene in the movie is when Kate and Ginnifer break it down to Salt n'Pepa's Push It. And a BIG thank you for your continued votes at Circle of Moms I cannot thank you enough for all your support and votes. Please vote HERE today and tomorrow and help me stay in the Top 25!! !